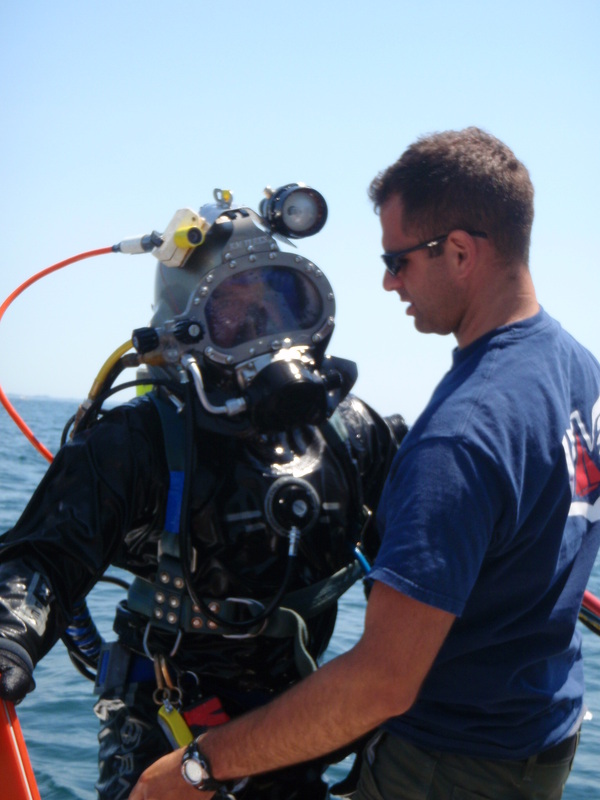 Most divers are at least familiar with the concept of a drysuit. 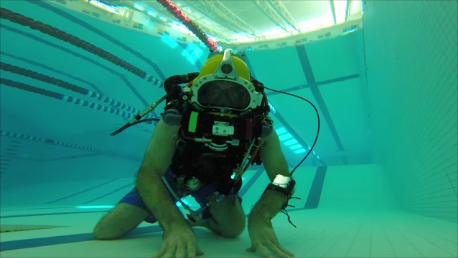 Idea being to keep water off of the diver‘s body, which has a cooling effect. 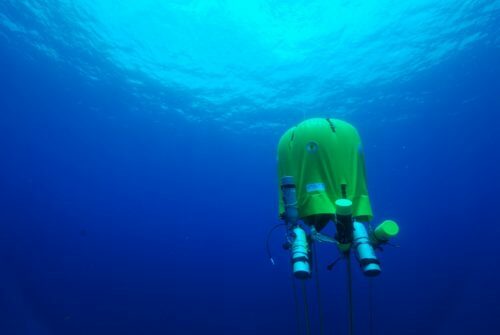 Within the suit, an insulating undergarment is worn to retain the diver’s body heat and provide some lasting comfort while diving in coldwater. 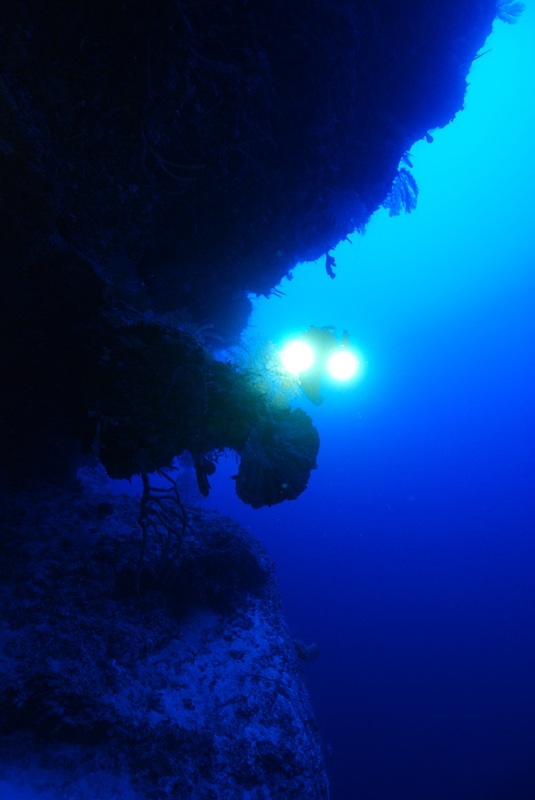 It’s tried and true, though still presents limitations for very long duration dives. In very recent years, electrically heated undergarments have made it to market, and are becoming a viable solution for longer exposures. 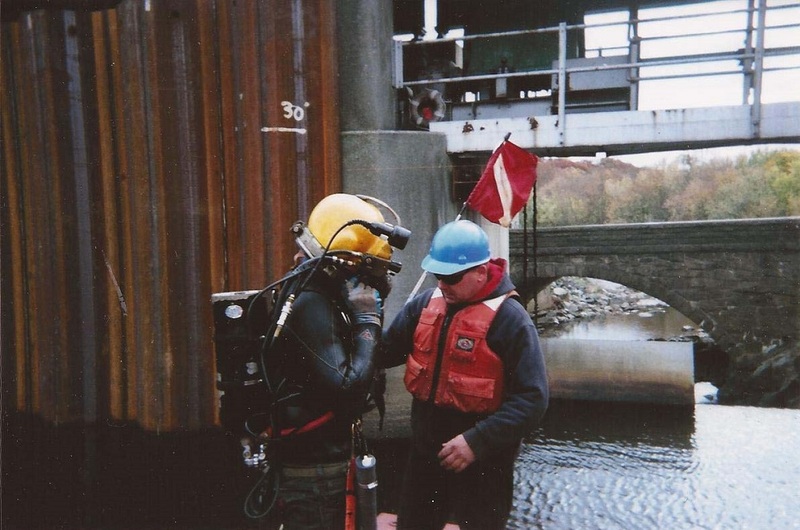 In the working/commercial diving world, we have been using hotwater suits, rather than drysuits, for decades. The general idea is to pump water down to the diver via a member within the umbilical. The water enters the suit and is circulated via an array tubular arteries running through the suit, and out to the gloves and boots. The water is heated at the surface to a temperature such that it will arrive to the diver at around or just above their body temperature. Pretty nice to be warm and cozy all day when working in 30 degree water! There are off the shelf suits that run upwards of a thousand dollars. 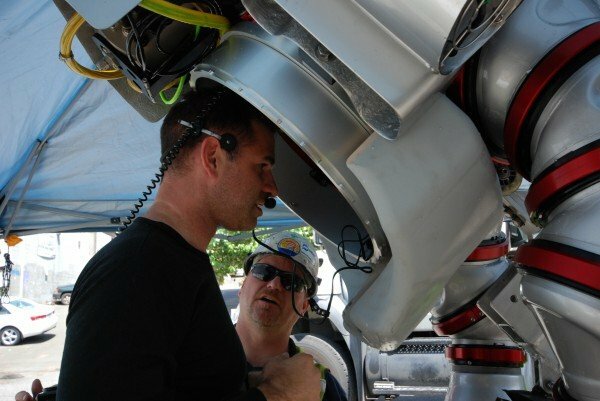 My group has arrived at a simple, inexpensive, custom solution that is particularly well suited for inshore commercial diving. This valve assembly plumbs through a wetsuit‘s chest, converting any wetsuit into a hotwater suit. Highly effective, and well proven with several thousand hours of dive time behind the design. The major advantage of a wetsuit conversion is that in the event of a hotwater machine failure (BBRRRRR!!!!) the diver still has the thermal benefit of a thick wetsuit which buys at least tens of minutes of reasonable thermal protection. This is not the case with the off the shelf suits. Of course, this is only the case in relatively shallow water where suit compression is not so much a factor. The hotwater hose from the umbilical is fixed via a hose barb or a garden hose fitting. 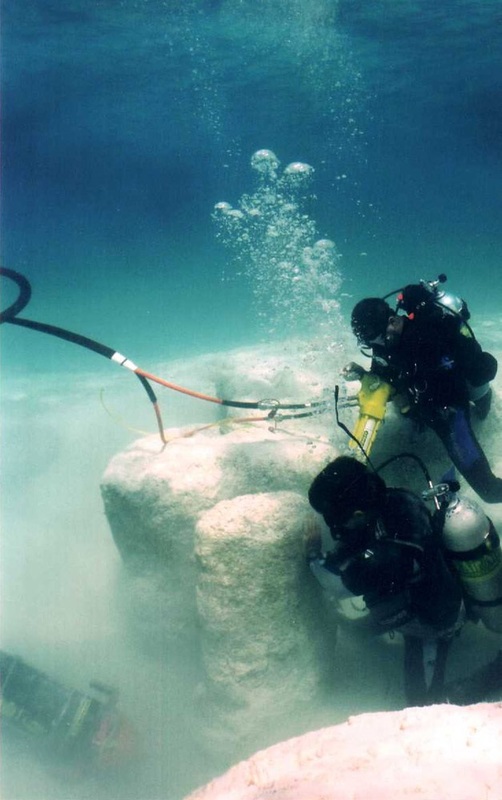 With the latter, it is essential for the diver to have the means to jettison the hotwater hose via a quick disconnect. Should the water flux too hot or cold, the diver can pull the hose. Very simple and cost effective solution! This is one of a series of posts providing tips & techniques relating to equipment for living the life aquatic. Many items discussed in this series are available for retail/wholesale purchase at www.underseatools.com. The a[l]lure of an Aquarium on Ice?